Richard Marker is faculty co-director for executive education programs at the Center for High Impact Philanthropy. Marker has been in the philanthropy world for many years: as CEO of a major foundation, a trustee of several others, and a speaker to foundations, wealth management firms, and philanthropy conferences in 39 countries. In his work as a philanthropy advisor and co-principal of Wise Philanthropy™, Marker works with large and small foundations as well as individual philanthropists. His distinctive approach to funder strategy is now utilized by many in the field. He specializes in inter-generational issues and succession, aligning focus, policy, and funding priorities, and in working with boards on developing successful decision-making strategies. He also coined the term “philanthro-ethics” reflecting his expertise in ethics for the funder and grantmaking field. 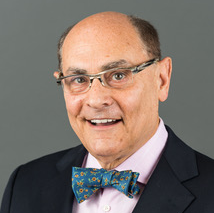 In addition to his faculty role at Penn, Marker has taught philanthropists and foundation professionals from around the world since 2000 at NYU, where he was recognized with the NYU Excellence in Teaching Award, and for foundations and regional associations in many of the US States and several other countries. He has also had academic appointments at Hofstra, Loyola of Chicago, and, from 1971-82, at Brown University. In addition to his academic appointments, over a professional career that began in 1968, Marker has been a university chaplain, senior executive of an international NFP/NGO, a management consultant in the for-profit sector in addition to his roles in the philanthropy world. He has also served voluntary elected leadership positions in many NFP/NGOs. He is married to his partner in Wise Philanthropy™, Mirele Goldsmith, PhD, an environmentalist and nationally recognized expert in program evaluation.